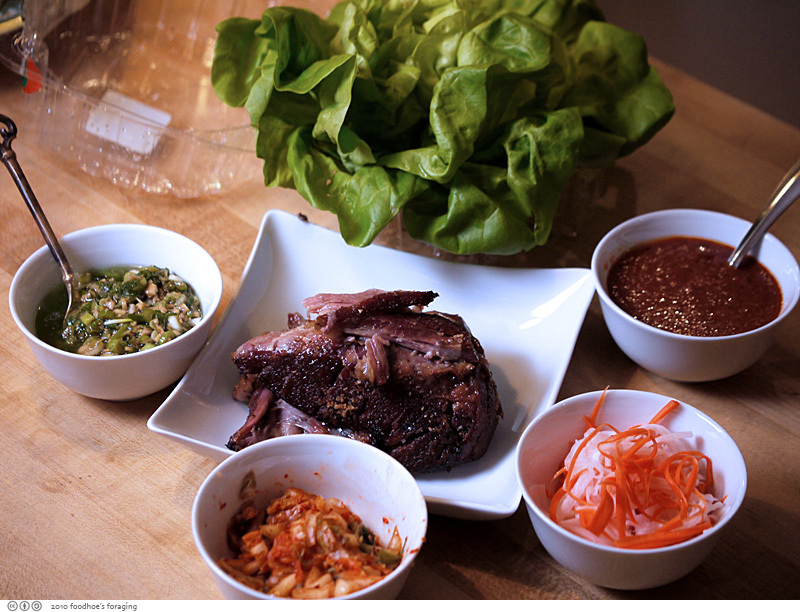 This dish takes time (6 hours) to slow cook the pork, but is surprisingly easy. It was so good that we proclaimed it one of the best things we have ever cooked! I posted a more verbose commentary here. 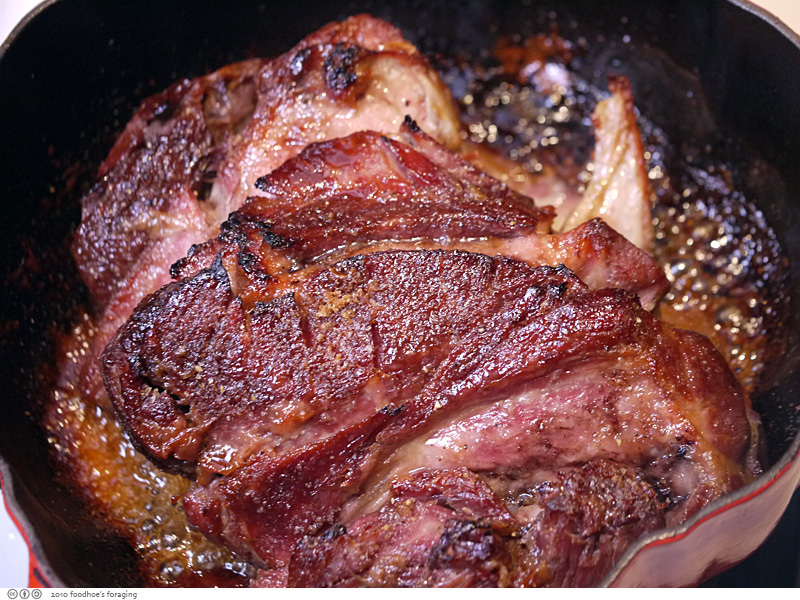 Place pork in a large bowl or roasting pan. In a medium bowl, mix together granulated sugar and 1 cup coarse salt. Rub sugar mixture all over pork and cover bowl with plastic wrap; transfer to refrigerator for at least 6 hours and up to overnight. Transfer pork to a large roasting pan, discarding any accumulated juices (or drain accumulated juices from roasting pan that pork is in). Transfer roasting pan to oven and cook, basting every hour with rendered fat in roasting pan, until meat is tender and easily shredded with a fork, about 6 hours. Meanwhile, in a small bowl, mix together remaining tablespoon coarse salt and brown sugar; rub mixture all over pork. Increase oven temperature to 500 degrees. Return pork to oven until sugar has melted into a crisp crust, 10 to 15 minutes. 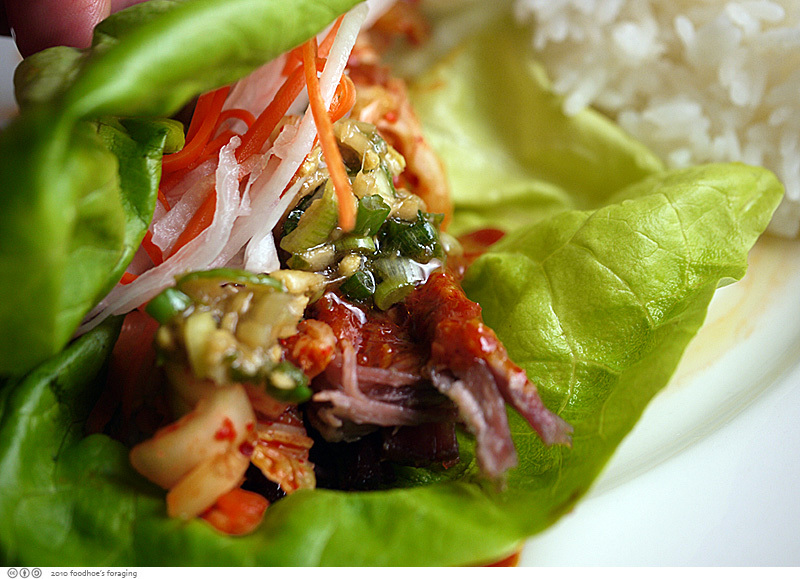 Serve hot with oysters, kimchis, ginger-scallion sauce, ssam sauce, rice, lettuce, and pickled vegetables. its look delicious. I think i will try it.